This mega-pack comes with a humongous assortment of MINIS in multiple themesand styles. From Classic to Racing, Supers to Spooky, Dino to Robot, Neon toMonochrome, all your favorite Thomas and Friends MINIS engines are here, plusexclusive to this pack: five "Warrior Engine" MINIS! 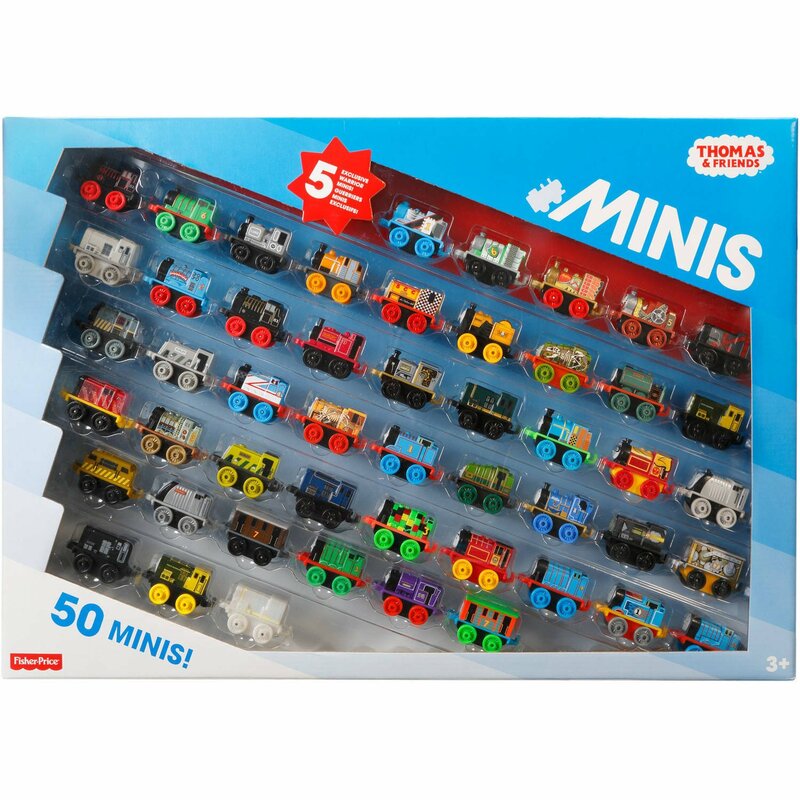 The pack includes 50MINIS in all, including such popular characters as Thomas, Percy, James,Gator, Diesel, Victor, Toby, Millie and more! Collect 'em, race 'em, trade 'emand use your imagination to create really unique adventures for these ReallyUseful engines!